Originally posted on March 21, 2009. I have owned a 2004 Mazda MPV LX since early 2006, and it has been a great vehicle so far. Plenty of room, fairly fuel-efficient, quite practical and very satisfactory on the whole… with one exception. Starting around late 2007, the minivan started to occasionally stall while decelerating or braking. The RPMs would drop to near-zero and the engine would die. It only happened a couple of times over a few months but began to get more and more frequent as time passed. Generally it would only happen between 15 and 50 MPH, and only when letting off of the accelerator. After the first few times, I learned to avoid it by tapping the gas as I saw the RPMs plummet; if I did that in time, I was able to keep it from dying. If I didn’t however, my only recourse was to shift into Neutral, start the engine while rolling, shift back into Drive and keep going. Of course, this was quite unsafe, and by the time it was stalling once or twice every time I drove it, it was time to do something about it. I did a bit of research online and found the occasional mention of a faulty IAC valve being the cause of stalling and rough idling. The folks at Kragen didn’t know what an IAC valve was, and I didn’t pursue it any further from there. The van began to show a check engine light, so I took it in to the local Mazda dealership to have them check it out. It turns out the check engine light was the result of a sensor that was blocked by excessive carbon buildup in the intake manifold, which was caused in part by the stalling behavior. According to the tech, the stalling was causing the engine to run a richer fuel/air mix on restart (because it interpreted the stall as an indication of a fuel/air mixture that was too lean), and this frequently-richer burn was causing an undue amount of carbon buildup. They cleaned out the intake manifold with Seafoam (or a product like it), did a firmware upgrade, changed the plugs and wires (which I’d asked them to do as a maintenance step while they had it in there), and, $1,100 later, was given a clean bill of health. The MPV passed Oregon’s emissions testing, the stalling was gone and all seemed well. A couple of months later, the stalling started to act up again, and grew in frequency as it did before. I did a bit more research and all available evidence still pointed at a faulty IAC valve. As it turns out, the folks at Kragen weren’t able to find the part I was referring to because it seems to go by several name/acronym combinations: IAC valve, idle air control valve, idle control valve. Years 2001 and earlier have the IAC valve attached to the firewall, but it should not be too difficult to find (the part itself looks the same as the one seen here). Since installing the replacement valve around four months ago, the minivan has been running as good as it did when I bought it. There have been no issues whatsoever with stalling or rough running. Pick up a replacement IAC valve from Amazon using the link below. The part is listed as being compatible with a series of Ford cars; however, the engines are the same and this will work for any 2001+ MPV. Original comments section is listed below. Thanks for the post. We had the same stalling experience while on a road trip. The dealer replaced the IAC which was enough to get us back on the road. They recommended replacing the intake manifold to get rid of the carbon buildup but I didn’t want to do that away from home. I am glad to hear your van is running well again. I think I will go ahead and bite the bullet on the intake manifold. Jackson, I’m glad to hear that you found this post. The problem seems to be somewhat commonplace. As far as the intake manifold is concerned, the mechanic gave me the understanding that the excessive carbon buildup was due in part to the rich fuel mixture that the engine was burning after stalling repeatedly due to the faulty valve. Apparently when the engine stalls like that, the engine’s computer attributes the stall to a fuel-air mixture that is too lean, and runs it rich as a result. Months of this eventually result in lots of carbon buildup. Rather than replacing the entire manifold, you might be able to refurbish it, either at the shop (as they did with mine) or yourself, if you’re feeling brave, using Seafoam. My 2004 MPV (with 90K miles) had the same problem on and off for several months. The engine turned off when I exitted the ramp or slow down. Since there is no visible warnings(engine light on, etc) local dealers told me they have to duplicate the issues otherwise they could not fix the problem (I can imagine it cost me $$$ just to find the problem). My friend, who is working at Ford, suggested me to change the Engine Management & Ignition module (Duralast TV281 BY PASS VALVE. Note 2004 MPV uses Ford 3.0 liters 24V engine). Since then I do not have any problem. I examined the old part and it is sticky, with lots of carbon build up. Very interesting — looks like the bypass valve that you replaced is the IAC valve. It seems to go by a couple of variations on a couple of names which serves to increase the confusion. Mike, it sounds like a replacement may do the trick for you. I’m surprised to learn how common this problem seems to be. As for the firmware upgrade that the garage performed, I’m not sure if it helped with the problem (since the stalling problem came back, leading to the eventual and final solution of replacing the IAC valve), but I did realize some noticeable improvements in the automatic transmission’s shifting. Funny you mentioned this. Today the my 2004 Mazda MPV reved up and stalled. It then was hard to start. Finally started and is running fine. I wonder if the same problem. I have a 03 lx with the same stalling issue. I tried cleaning the IAC valve and it made it worse. After cleaning the car would only idle. As soon as you put it in gear it would stall. I purchased a new IAC valve from Advance Auto Parts for $55. My local Mazda dealer wanted $65 for the part and another 17 for the gasket????? Plus, the part from AAP came with the gasket. The IAC valve is on held on with two 8 mm bolts and one plug. I changed the part in less than 5 minutes and it runs great. Thanks for the post. I replace IAC. My 2003 MPV ES still stalls and jumps but only when it is in gear and stopped. Anyother time it runs great. Took it repair shop, they replaced cracked intake hose from air cleaner helped for awhile, $500. 00 later, back doing the samething Any suggestions? If it is skipping at idle and while in gear, it may be a failing ignition coil. I’ve had one fail already and another one is on the way out now. I’ve got an ‘03 MPV. The check engine light came on, so I got AutoZone to read the codes for me. There were two: bank 1 mixture too lean and bank 2 mixture too lean. The advice shown by their system was to check the MAF sensor, fuel pressure, vacuum leaks, and O2 sensor. I pulled out the MAF sensor and saw some carbon buildup on the fine sensor elements in there. A few shots of CRC electrical contact cleaner removed the buildup revealing shiny sensor elements. I disconnected the battery for a couple of minutes, reconnected it, and took the van for a test drive. There was no check engine light, but now, I noticed the idle was slightly rough. I removed the IAC valve, leaving its wiring connected, and had a helper switch the key from ACC to ON and back a few times. I could feel the IAC valve jerk a bit with each move of the key, but the pluger did not move visibly from its position of about 2mm from closed. I think I’ll pick up a replacement IAC valve and install it. I hope my results are as good as yours! John, you might also try some CRC and/or other kind of cleaner inside of the IAC valve — since replacing it, I’ve heard from a couple of people that cleaning the valve has been effective, if only as a quick fix. Thanks for the tip. That sounds like it’s worth trying if I’m planning to replace the IAC valve anyway. However, I was able to wiggle the plunger with my finger, and it seemed to move freely. How is it actuated? In other words, in the shiny can, is there a solenoid, or a stepper motor, or a servo motor, or something else? I’m fairly sure it’s a solenoid, but I’m not 100% on that. I know that older Ford engines used a solenoid-powered IAC valve, so I would assume the MPV uses the same type (Duratec engine). My 2002 Mazda MPV LX has the similar problem. It would start, then die. This happens about once a week. After successful starting, it can run without any problem. I took out the IAC valve. Cleaning with acetone( the only cleaner in hand) and put it back. The starting problem never appear again. Thank you very much for the post! It turns out my IAC was just fine. I put a new one from AutoZone on and the engine ran exactly the same. Well, $936 later, the Mazda dealership has my ‘03 MPV running like new. They replaced the PCV hose, the back 3 ignition coils, and all 6 plugs. They said coil #2 had failed open. They also did the induction system cleaning process. Now, my MPV supposedly got the 2004 PCV hose recall service done, but the hose I had looked like the old style hose with a U-shaped bend in it. Maybe they only inspected for a leak in 2004, and finding none, left the original hose installed. John, very interesting — I forgot to mention in my post that while the MPV was being serviced, they also replaced the PCV hose. The fellow at the service desk said that lots of rear-bank coils fail, since they get hot between the block and the intake manifold. They gave me the two functional original coils in a box so I can swap them in should a front-bank coil fail in the future. This was a HUGE help to use. 05 MPV was stalling on decel at about 40mph. Issue started 6 weeks ago and steadily became more frequent. RPMs would go up and down before stall. No other issues whatsoever. Dealer could not diagnose. Cost $250 for one pvc hose replacement which did not help. Googled found your posting, ordered IAC valve from Partsgeek and BINGO. We are NOT mechanics at all and this was a piece of cake. THANK YOU! We were so happy paid off the van the next day and will probably keep it awhile. Thank you, Thank you, Thank you!!! I too have been to the dealer and because the check engine light was not on, they could not detect the problem. I replaced all the plugs, wires, air filter and over $1600 in repairs…I still had the problems. After a while, you learn to live with the dying engine at every stoplight, stop sign, curve and coming off the freeway was the worse. You can only rev the engine and shift into neutral to restart the vehicle so many times and hope no one will rear end your van! Today I purchased the IAC from Auto Zone for $49.00. The installation was simple. I rev the engine and drove around without stalling. I can’t remember the last time I had a non-stalling drive! Thanks for your post and I pray this is the answer I have been waiting for. During this recession, another BIG repair guessing game is not what my family needs. Again, Thank you! Joseph, thanks for the comment. Glad to hear that you’re back up and running properly! Oh my gosh, when I found this post I wanted to cry! I LOVE my Mazda MPV (2004, bought used in May 2009) but it started doing all this stuff in August and has been really stressful for us since we travel all the time for dog training and dog shows (and my husband is stressed when I’m driving the van alone). The Mazda dealership is really snarky with us and insists on running these expensive tests, but a lot of posts I’ve read online say the tests yielded nothing. A Mazda mechanic told us that it could be PCV and said to buy carborater cleaner from AutoZone, spray it at the intake while the engine is running and if it revs up or down, it’s the PCV. My husband just did this and nothing happened so we were back at square one. Then I found this post and this is exactly what we have been experiencing! I didn’t know how to describe the problem, which is why months of research hasn’t helped. The term “rough idling” was the term I needed all along. We also have a problem where the van turns off randomly in wet conditions. I see someone above posted a link about replacing coils. We think we may have both issues, not sure if they are related but we are bringing both these posts and printouts for buying the parts to our local mechanic for the labor. 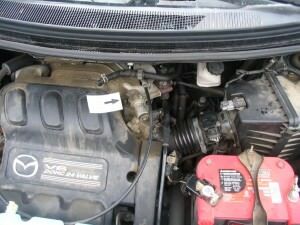 Hi, I have a mazda MPV 2004 and have been having the same problem. The dealer told me that the first step that needs to be done is to replace the IAC valve but he can not guarantee that this will take care of the problem. If after replacing the valve problems persist I will need to pay for labor and part each time. I would have thought that if they replace the part and then someting else goes wrong they wouldn’t charge for labor but anyway. My question is where can I get the part and how easy it is to replace it? The dealer told me it woudl take 2 hours to replace the part. I am not handy at all and don’t have any tool.Is there a step by step guide available? You mentioned as well that the coils fail as well. Can any mechanic replace the coils or I need to go to the dealership? I am thinking of getting the IAC valve and the coils replaced together. Remove the clip-on wire harness from the valve. Remove the two bolts that hold the valve. Put the new bolts in the new valve Attach the new valve and tighten the bolts. Attach the wire harness to the new valve. You can order a new IAC valve online; I ordered mine from rockauto.com (they have a pretty good selection and the prices are right). There’s also a good chance that you may need to replace one or more of your coils as well, but I would definitely try the IAC valve replacement first, since it’s much simpler and cheaper to replace than the coils, and might fix the problem by itself. If you do decide to have the dealer do it, I’d talk to them and find out exactly why they think it is going to take them two hours to do the replacement. You can even open the hood, show them the valve (find it in the pictures in my post) and make sure that is the one they are talking about. Don’t let them charge you for anything over 15 minutes for just that. Thank you so much for the quick reply. I can’t see the pictures you uploaded but I am going to order the valve and replaced it. By the time I get the part , hopefully I will be able to see the pictures. I am looing at the rockauot website and they ask what type of mazda my car is: L4 MFI, V6 Fi or V6 MFI. Where do I find this information? When ordering the part online what part number should I pick? I have a mileage of 67000. I am wondering if i should replace the coils anyway even though i don’t have a problem just to be on the safer side or i should wait for them to die. Is it ok to fix something if it isn’t broken? Regarding the coils, if the IAC valve fixes it, I’d leave the coils and only replace them if they start to fail. When they do, you’ll notice that the vehicle will begin to “sputter” occasionally once it’s warmed up, especially on the highway or at steady speeds. It may only happen every 30 seconds or more to start, but if that begins to happen, it’s most likely a coil. Could be that you are one of the “lucky” ones and you have good coils though. I’ll be finishing a writeup of the coil replacement process pretty soon. The part from Standard Motor should work fine. I think the Airtex one is the same part but with extra photos of it from different angles. thank you so much! i was having a really hard time trying to diagnose the problem. Thank you I replaced the valve. Haven’t had the problem since. Keeping my fingers crossed. I’m glad my wife found this site, too bad it wasn’t sooner. The exact same problems as everyone else is seeing so I will try the AIC valve now. The first time we brough it in the mechanics couldn’t diagnose it without a code so we paid the $85 for them to tell us nothing. They did clean out a few things (i can’t remember what) and did not charge us extra for that oh boy. It did seem to not stall for a little while so we thought it may have been fixed. Very frustrating because a little while later it started doing it again. We just got it back from a different mechanic who didn’t have any idea either but recommended a fuel system conditioning / cleaning. This was ok because it probably needed it anyways. He also recommended replacing the water pump because it is a common issue for the plastic fins on it to break and it will cause overheating. So we did that and replaced the thermostat at the same time. Within the week it stalled again. Spent aroudn $650 this time. I wish mechanics would research a little more or just know more common issues like the AIC valve since this is their profession and they should be aware if it is common. Not to say this would have fixed it but I like the idea of starting with cheaper solutions first and work my way up. Very annoying and we will be looking for another vehicle as soon as we can. Would not have purchased this van if we knew of all the little problem that came with it. Went to start my van this morning and it turned over but would not “catch” unless i held the gas pedal down. As soon as i let go of the gas pedal it would die. Found this awesome site, took out the IAC valve, blew it out with compressed air, re-installed and it started up just fine. Still going to replace the valve though, but at least i can get the car running to go to the parts store!!! Thanks again for posting this valuable info!!! THANK YOU, THANK YOU, THANK YOU! Like so many others my 2004 mpv was having the same problem. Stalling once every couple of weeks and always when I was coming to a stop. Over the weeks, it progressed to once a day and then to a few times a day. Not only frustrating, but quite dangerous! I bought the IAC valve from Mazda ($120 I think) and my dad installed it within 5 minutes! This was months ago and the problem has never happened again. I am so thankful I found this site the day before I was scheduled to have a diagnostics check, etc, done at mazda to resolve the issue. This would’ve cost me a pretty penny and they probably wouldn’t have found the problem and made me replace parts that didn’t need replacing! thanks so much!!!! My kids just broke the seat handle behind the front passenger seat. I have been looking on the web where to find the part but it seems my only option is to order the part form the dealer. Not sure on where you’d get a replacement seat handle. If the dealer wants more than $100 for a handle, my best bet would be to watch Craigslist for a Mazda seat that has a similar handle (not sure, but I’m guessing the handle isn’t unique to the MPV and would exist on other seats as well). My van is doing what many others here are doing – rough idle in park, reverse & neutral. Also, the CEL comes on and struggles to accelerate. Plus it stalls here in there when pulling out of the driveway or into a parking lot. I’ve replaced the IAC and that seems to have done nothing. The majority of the tips state that users have replaced the plugs and coils mainly. I plan on doing that, but my concern is that so many have already done that and now they’re back to the vehicle having the same or similar problems. I guess my question is…is there anyone that has replaced the plugs and coils and had an excellent long-term outcome? With my growing family, I’m debating trading the van in and getting a suburban. Any suggestions? The trick to fixing the coil problem once and for all is to just go ahead and replace all six at once. They have a tendency to fail at different times, which is why you hear about people taking the vehicle to a dealership, getting the bad one repaired, and having another fail later on (which is what happened to me). Having a dealership or garage fix all six at once is prohibitively expensive for most, but definitely worth the time and cost ($120+s/h for six coils) if you do it yourself. I’ve put around 30,000 miles on my van since the replacement and it runs great. In addition to coil replacement, I also recommend using an engine cleaner like Seafoam before or immediately after the replacement, since a bad IAC valve can cause a lot of carbon buildup due to the engine computer running the air/fuel mixture too rich due to the repeated stalling. One more thing: I highly recommend running an all-synthetic oil such as Mobil 1. I started using it around 5,000 miles ago and have noticed better power, smoother starting and markedly improved fuel economy (highway range on one tank went from 375-410 up to 440-475). Forgot to mention too: check my last comment on this post for updated links to a complete coil-replacement guide and the retailer who sells the coils. I have a 2004 Mazda Mpv ES. I have been told the O2 sensor is bad and the number 4 plug is mis firing. I have had that same plug replaced 3 times in the last 10 monthes. Any suggestions. Looking for layout of where o2 sensors are located. I have a 2003 MPV that has had the coils exchanged, not it is running hot while ideling, and the air conditioning gets warm, once I get some speed, it cools. Any help needed, not a lot of money to spend on repairs. What if the van have a random misfire when on load? When go up a hill, it stalls and check engine came on. I took to my mechanic to do code scan each time the check engine lightcame on and each time he scaned a differend cylinder # is misfired. Yet it runs fine after afew stall and the engine light came on. Is this part of the iac or the coil? My mechanic recommend to change the booth of those misfired. All 6 sparks plug changed within 3 months. Any suggestion? Random misfile on load is a coil issue. The second time I had a coil failure, it was two coils failing at once, so it could be that you have more than one failing. My approach was to simply replace them all. Thanks to the OP – Awesome Post !!! Problem: Stalling at low idle, stopping. Tried: 1) MAS Cleaner (nope) – tech said not to mess with the mass air sensor as it is fragile and expensive. 2) Battery swap test ( thought it might be weak battery) (nope). 3) Used throttle body cleaner to clean throttle body ( after removing air cleaner assembly) (nope). 4) Used throttle body cleaner (and q-tip swabs to clean out black carbon deposits in Ilde Air Control Valve) (worked!) No more stalling. Using the cleaner alone didn’t seem to do it so I used q-tip swabs to clean off the depoits off the parts inside the two chambers of the IAR. Paying special attention to cleaning the steel pin running from the valve through both chambers. Alot of black gunk came off on the swabs when the chambers didn’t look that fouled up begin with. Do a thorough job here so you get as much black onto the swabs as possible being careful to not damage the rubber seal in the one chamber. Worked brilliantly and super simple to do. Original IAR gasket was dry and reuseable. Glad the cleaning worked as it took 15 minutes and saved me the cost of a new IAR ($69 at autozone). Note: other stores could not find it under “IAR” and the like but found the Duralast part referenced earlier in this thread. Thanks a million for saving me some time and coin!!! Thank you so much for this post. I was having the same stalling problems described by most and I wasn’t looking forward to long drawn out repair cycle with the local dealer for this intermittent problem that had been getting worse. The day before I found this post our MPV had stalled 3 times during an 8 mile city-driving run. I already had most (if not all) of the coils replaced over the last 18 month period, so I was glad to read that this could be something other than more coil problems. I bought the suggested replacement valve from Autozone and installed it myself. It really is as easy as described. It has been about 5 days now since the repair and so far my 2004 MPV seems to running great with no stalls. It might be my imagination, but it seems to be running smoother with more pick-up than before the repair. My only concern with the Duralast part is that the gasket that came with the valve (which I did install) is not flush with the interior openings in the valve. The OEM gasket that removed had cut outs that exactly matched the shaped of the opening. Could this be a problem? Should I have re-used the old gasket? Dead on. I had the same issue and brought it to the dealership, they replaceed the PCV Hose and nothing changed, I told then about the IAC valve. They Checked it and Yup that was the issue. My ’01 MPV is having similar issues. The coil pack you guys are talking about, could that throw a code for a misfire? Ross, I’m not 100% sure what the exact code is, but I’d definitely guess a misfire code would be the one. Thanks for your post and I pray all of you, this is very use full discussion. I bought the mpv last week and start spending $$ my life become hell and now i stopped spending $$ and start review the answers. all are really good advices. thanks buddy. i will try all my self step by step. You sure seems to know a lot more about Mazda engines than I, had a new problem develop today wondering what you think: a few months ago the cel was coming on, I was going to get a scan and it turned itself off first so I didn’t. Not sure if that’s related, but today it started almost jerking/rough idle when stopped and the AC was on. This stopped when AC turned off. No other problems noticed yet. If my AC compressor is locking up, could this break my serpentine belt if it goes out? Thanks so much. I don’t know enough about AC compressors to be able to give you a definitive answer on that one, but I’d keep watching it for a few more days (try the AC occasionally) and see if you notice the jerking and rough idle when the AC is off. If it’s the coils (like mine), it won’t start happening until the engine has warmed up for a while. I’m guessing that the added load from the compressor, as it puts more load on the engine, could be causing the coil misses, but I don’t know for sure if that would be the case. Either way, if it is the compressor going bad, you should notice a difference in idle nearly immediately between switching the AC on or off. Thanks, it has started happening now without the AC on as well, probably a coil causing a misfire or something like that. Sigh, eventually I’ll find the time to get that fixed. Such great information! I found it while searching for a solution to another issue we are having with our 2002 MPV. I’ve had 2 coils replaced so far and know that there are more in my future. But thanks for the info on buying them yourself, should save a few dollars. So I thought I’d ask since you seem to know these vans inside and out… anyone have an issue with the van not recognizing that it is in “park” and won’t let you turn the vehicle off and take the key out? This happened to me last night, luckily (I think) the dealership’s service was open and I drove it over to them. They disconnected the battery so it didn’t sit in “ACC” and wear it down, but they are telling me it is a “change control” to the tune of over $500. Wondering if there is a simple fix – like something just came disconnected in the steering column. Any thoughts would be appreciated. Thanks again for the info! From reading on forums, I’ve also found that you might be able to get the key out if you pull the Hazard fuse temporarily, but be sure to put it back in since your turn signals won’t work without it. hey, my issue is kinda’ the same but a bit different. maybe someone could offer some advice. weve had our 2005 MPV for a bit over a year. occasionally while the A/C is on and the car is idle at a light, the RPM will suddenly decrease to a near stall (on 2 occasions the car has actually stalled but usually it recovers before it stalls). until now we have come to live with this issue, but recently the car started hesitating and jumping when i pushed on the gas either from a complete stop or while driving and needing more power from the engine. i took it to the mazda dealer and they changed a coil and the car ran great for a couple of days and then the same problem occurred again, only this time, in addition, the cars idle was totally out of whack even while just moving along in bumper to bumper traffic without hitting the gas pedal. they told me it was now another coil and changed that one as well. the car seems to not be having these hesitating/ jumping issues anymore when i hit the gas pedal, but the near stalling/ stalling issues while the A/C is on and the car is stopped at a light is still happening. im not sure if the 2 issues are related or not. could this also be an IAC Valve problem? can anyone from this brilliant group suggest anything to stop the sudden loss of power while the A/C is on. I have a 2002 Mazda MPV and thought the IAC might be my problem as well but no luck here. Replaced it and still having the same problem. I have to hold the gas down to get it to start and when it does it revs high like I’m giving it gas and as soon as you try to put it in gear, it dies. The transmission is also switching gears hard and the motor is running hot but not showing on the gauge. Anyone got any ideas on this one before I spend an arm and a leg to fix it? 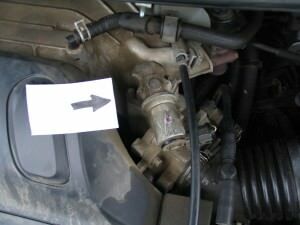 So I just found online a Mazda service bulletin referring exactly to the problem I am having with my MPV which is “ENGINE IDLE DIP WHEN A/C CYCLES ON” . The only problem is that it is for 2006/7 mazda 3. does anyone know if this can be used for the MPV’s as well, and if not where I can find this same info for the MPV? My 2003 Tribute was running rough and stalling off and on for 2 years. Replaced IAC and cleaned MAF. One day i popped the hood and there it was. The PCV hose going into the intake manifold had a gaping hole in it. I never saw it until then. I wrapped it in Duct Tape and no more problems. I replaced the hose 2 days later. I got the part from the dealer for $10. I had a repair shop wanting to charge me $400 for a tune up they guaranteed was causing the problem. Thank you for everyone post about Idle Air Control (IAC) Valve. My 2000 Mazda MPV start having problem with cold start up and can’t keep up the RPM at all. Keep turn off the engine everytime I cold start. After I do a reseach and reading all about you guy posting IAC valve. So I decide to order Idle Air Control (IAC) Valve three day later received the part arrive to my home. I install IAC now everything back to normal running engine RPM hold 7000 ok. Again thank you everyone for your help. Wow, that was painless!! Thank you for the step-by-step rear coil change! Besides dropping the gasket down into the engine (hour and a half to find) it was quick and easy. Now, the engine doesn’t jerk and constantly hesitate, but it still has a minor rough idle and hesitates starting from a stop. I replaced the IAC and still no change. I only changed the rear coils figuring the coils weren’t an issue anymore since there isnt any jerking anymore. Any thoughts? I have a problem that is about the same but different. I can start my van and leave it parked all day long and rev it up with no problem. After I start driving it about two blocks later it starts to jerk and stalls. The codes were lean on bank one and two, random misfires. The diagnostic tool showed the fuel trims to be adding in 15-25% more fuel than was needed. I replaced the IAC and the engine coolant sensor. I put in new spark plugs. I haven’t replaced the coils because I had them tested and they were good. I may just buy new ones anyways to be sure. So after it stalls I can’t start it for at least 15-20 minutes. I pulled the spark plugs out to see fuel on them so I know the cylinders are getting flooded. Any ideas? My 2003 Mazda MPV started stalling at stop signs the first few times. But it was on a trip in the middle of Kansas – had the cruise on traveling around 60mph on a rural highway when the automobile just stalled – that I started to get concerned. It was odd, I pulled over, started it up and made it the rest of the way home. Two days later, it stalled twice on a seven mile trip on city streets. It was then that concern grew to dread of the service bill that was going to be coming as a result of this problem. So I got online to find out what might be happening and how much it was going to set me back. I found this website after reading many accounts of high cost service that seemed less than fruitful. I decided that before I took the car in for service, I would try this solution out. I spent more time waiting to be served at the parts store than I did installing the part (I am NOT a mechanic at ALL) and $61 and a month later, the van still runs like a charm. I want to thank you for your pain in finding the solution and the kindness you shared through your work of putting this out in cyberspace. Amazing! I’ve had a check engine light reappear a while after all the plugs and 2 of the coils were replaced. The other symptom is a rough low idle in gear and in park. It runs fine at speed. I put in a new IAC valve after seeing this website hoping to finally fix it. The check engine light went out, but the idle was at 3000+ rpm instead of a 1000+ rpm. Driving it was scary! It was hard to stop and it ran crappy at speed, jerking and dipping acceleration. Any thoughts? I can’t thank you enough for posting this information. My 2002 MPV with 53,000 miles was began having trouble starting in cold weather two years ago. I went through numerous batteries thinking that was the problem. Then this winter (after another new battery) it would start, but as soon as I put my foot on the brake to put it in a gear, the engine would stall. I saw this web site and mentioned the IAC Valve to Mazda. They replaced it saving me a lot of time and money. My MPV is running great and is now starting in cold weather without any problems. Without your help I have no idea how much it would have cost me for Mazda to diagnose the problem. Thanks again. Had a 2000 MPV with an IAC that kept getting stuck and made for some jolts when backing up our driveway. Cleaned it out several times. Always seemed to be fine once running. Just got a 2006 MPV and it started stalling randomly under 40 miles per hour. Didn’t make the connection until I came across this post that it was the same thing. Replaced it with a new one and haven’t had a single problem since. Thanks so much! Thanks, many thanks for this post. I had the same problem and replaced it before yesterday, no problem again. The dealer told me no any problem, just clean the history code and spent me 120 bucks, and everyday get this problem in last 1 month after the dealer did. Found this article based on the perfect description of the problem: engine stalls when removing foot from gas pedal at high RPMs. Affected model was a Mazda MPV 2006. The link to the part on Amazon looks like a perfect match, but I ended up at the local NAPA store where CRB 216623 (“Idle Air Control Valve”) gets you a similar looking part, albeit more expensive than at Amazon. Replacing the valve fixed the problem. Thank you VERY much for posting this suggestion! I was having the same problem. I ordered sparkplugs as an error code came back telling me that it was misfiring. Installed them, but didnt fix rough idle, stalling issue. Took IAC \off cleaned it reinstalled it..still rough idle…thought I will order new IAC. I also was going to replace master cylinder..as it stopped working as well….anyhow…before you order IAC…check for a vacum leak, this was my whole prob. Behind block there`was a quarter size hole in what I belive to be the pvc hose…plugged it with a larger nut and tape..and whalla….idle was better than ever, and brakes worked! Not need to order the 90 connection! check for vacuum leak first! Listen first. Could the IAC valve be the problem if the engine stalls on acceleration? I have a 2004 MPV and just changed the coils due to a misfire on cylinder 3. Everything seemed fine but a day or two later it died when passing someone on the interstate. The repair worked like a charm for me as well. Thank you so much. I had the coil issues first and then got the stalling. Fixed the coils, still had the stalling. Replaced the valve and has been running perfect for two months now. My 2005 MPV LX stalls at random while driving. It seems to occur when the gas pedal is released between 20 – 50 mph. I just ordered a new IAC valve. Thank you for putting this info on the web! You probably saved me a ton of money and time. Replacing the IAC is likely to help – it did on my 2006. We had the car stall x 3 and then brought it to a mechanic here in Italy. They were confused, so I called a dealership in New York, who was happy to help. The recommended this replacement and it worked like a charm. The process was very easy. Everything was fine for 5-6 months, but now I have another problem. When I start the MPV, it idles in the 1500 range, and putting it into gear feels like riding a horse which is anxious to get out of the gate. If I wait 30 seconds, then rev the engine, it will drop to 800 RPM and drive without problem until I start the car again. I’m not sure why this happens and am guessing it isn’t a hose leak, as it only is an issue on startup. Could it be a sensor? My 2004 MPV is hit or miss with how the engine runs. I’m driving along and it feels like is sputters, or hesitating as I accelerate along the highway. Happend in May after a 1 hr drive & then again in July after a 2 hr ride. The AC is on and then I won’t happen for week. Is this the IAC issue that I can get at AutoZone. My Firestone mechanic said it was a Mazda recall on PCM part & I would have to have Mazda take a look. What a pain…help? watch for the vacuum leak especially on the pcv line on the aft side of motor, mine kept faulting o2 sensor, showing lean condition in 3/4 bank turned out to be the vacuum leak was leaning out the cylinders, I did not find this out till after I changed the O2 sensors and it still faulted a lean condition, so I changed the pcv line and all was good. great site the IAC valve is a common problem on fords (had this on My f150) and the MPV v6 engine is nothing but a Ford(parent company to mazda) taurus duratec engine . I am having a problem with my 2004 mazda mpv. The engine surges when stopped at a redlight. The vehicle would jump forward if the brake is not held down. This is different than the coil problem (already experienced that one). I have replaced the IAC valve (which the old one wasn’t that dirty) but this did not fix the problem. I was wondering if it could be a sensor or hose issue and if so where would I look? THANK YOU for this post. Saved us a BUNCH of money and likely helped my wife avoid a serious accident with our MPV. Took our car back to the mechanic for help on the stalling. They were open to looking at this thread but weren’t sure that it would solve the problem. I asked them to replace the IAC since it was worth the risk and this car (our main family car) was nearly undriveable. Cost me about $100 to have it installed. The car hasn’t stalled since. A great example of how the web can do some great stuff. Thanks again. So I am confident it is the same part. Apparently Autozone has it on their site, but don’t know if my local store has it, will check it tomorrow. I’ll let you know if this solves the problem. Will probably clean the old one first and then try it. Thanks for the good information. how can find which catellite converter is bed. I just bought a used 2005 Mazda Mpv and on the first test drive the engine light was flashing, the van was bucking like a broncho and I turned around and went back to the dealer, He took it down the road and said that these cars have issues with the coils. I’ve replaced one on another MPV and within a couple of days, same problem. The dealer than replaced all 6 coils and put new plugs in and it runs awesome………..HOWEVER……….Two days after I purchased the vehicle, the check engine light went on, took it to Advanced Auto and had is scanned for free. The code for the catalytic converter came up……….YIKES. Called Mazda to find out how much the repair was and they said between 1200. and 1800. dollars. The dealer that sold me the vehicle and the warranty ( which by the way doesn’t cover the catalytic converter ) would not do anything to help. New Hampshire doesn’t have lemon laws so you’re pretty much on your own. BUT WAIT……….my son checked one of these forums and found the “FEDERAL EMISSIONS WARRANTY” which requires MAZDA to do the replacement and repair at no cost to you for 8 years or 80,000 miles whichever comes first. My vehicle has 49000 and is only7 years old. Don’t let a dealer fool you into paying this out of your pocket and check the Federal Emissions Warranty in the back of your owners manual. This is covered even if you buy your vehicle USED as long as you don’t exceed 8 years or 80,000 miles. A BIG THANK YOU to OP for replacement advice and especially the photos. After reading this thread and other similar ones, I concluded that the air intake valve on my 2002 Mazda MPV might be the cause of my troublesome stalling. There were days when the only way I could keep it running was to constantly give it some gas – even when I had to have my left foot on the brake to slow down or stop at a red light. On another thread I read the suggestion to remove the intake valve and CLEAN IT with throttle body and air intake cleaner. I found a video on you tube demonstrating this. In addition to “flushing” it with the cleaner, I tried the suggestion to use q-tips to help remove additional bits of gunk. The only problem with that was a few stray cotton threads left by the swab, which I removed with tweezers. There might be something better to use than the cotton swabs. It has been a month since I cleaned the air intake, and my car hasn’t stalled once. What a HUGE relief! I suggest to anyone with this problem that you try cleaning your valve before buying a replacement. It might do the trick and save you big bucks! The cleaner cost me about $5 at Advance Auto. If this 83-year-old grandma can do it, so can you. i was having a similar stalling problems as everyone here. My MPV 06 kept stalling as I would break. This kept happening quite frequently. I replaced the battery as my car has about 95K miles but didn’t help a bit. Researched online and decided to take a chance by ordering/installing a new IAC. Installed it today and so far no issues! Order the part online, paid about $63 for a Hitachi one. Thanks everyone! I changed the IAC on a Mazda MPV and it repaired the same problem. Thanks for your advice. You saved me time and money. I have a 2004 MPV that started suddenly having a rough idle problem (engine vibrate more than usual) with no check engine codes.At the same time I can hear a small clinking sound in the back exhaust around the TWC (Three Way Catalyst). The down pipe that is after the Catalytic converter and before the TWC become red hot and I am not sure what is causing that. I have recently changed all the spark plugs and checked all the coil and they were within specs. I have also changed the vacuum hose that was the reason for a recall on previous models and changed the AIV that has been mentioned here. I am not really sure what is causing this problem and I am not driving the van because the risk of fire from the the exhaust. If anyone have this problem or have any ideas, would you please share your thoughts? Thanks for such a helpful post. Big thanks for this blog. Even after spending few hundred dollars on various things on my mazda 2004 mpv, the stalling problem was reappearing many times in the past. I was about to buy new car then came across this blog. Wish I read this article couple of months back..Not only IAC valve replacement fixed the stalling issue but also driving seems like much smoother than before. Thanks again.. I replaced my IAC in the mvp 2004 Mazda because it was idling oncr I replced it its still doing the same thing could you tell me what else it could be? I got a 2000 mazda mpv dx. At first it could not get it to go over 25 mph and could not make it up a hill without stalling out . first garage replaced the plugs and air filter didn’t make a difference. decided to try another garage, I was told the fuel pump dropped its pressue when excelerating. He tried a new fuel pump still no difference. also checked the catylac converter. The codes that are showing are H2 os bank 2 senser, which was replaced no diiference. The other one showing is p0102 massor volume air flow. Mechanics said this would not cause the problem? put fuel injector cleaner in and put extra fuel in it still nothing. My 2005 had a rough idle and the O2 code. It turns out that the air tube going from the intake to the back of the engine case had collapsed. The tube is really difficult to get to. A new tube costs $100 from the dealer (dealer only part). However, I was able to make a replacement using radiator tube and the plastic parts from the old tube. Problem solved. Check pvc hose behind manifold. Could have split in it and/or ends of the hose may have collapsed. New hose under $40 in N.C. Happened to my 2004 MPV at 65000 miles. I have a 2004 Mazda MPV and lately it has a rough idle. some times its so rough the the van tends to jump as it in idle. as soon as I take off or give it gas it runs fine. no shaking or misfiring when driving. Only when I come to a stop is when it starts to shake. Any ideas or solution? Hy Lioyd , I got a 2003 mazda MPV with the same problem that you said above: At first it could not get it to go over 25 mph and could not make it up a hill without stalling out, also when I press the accelerator the engine does not have power. I changed all spark plug and air filter. Now I am thinking in change the fuel pump. Lioyd , did you fix the problem of your car ? Any bory with any idea? I WISHED FOR THE CAR ISSUE FORUMS EVERYBODY WAS AS DESCRIPTIVE AS THIS BLOG RIGHT TO THE POINT PICTURES AND THE PROBLEM WAS SOLVED. I GO THROUGH A LOTT OF FORUMS WHERE SOMEBODY POST A PROBLEM AND YOU GO THROUGH DOZEN PAGES AND NO ONE HAS ANY SOLUTION BUT EVERYBODY LIST I HAVE THE SAME PROBLEM AND WRITES A STORY , HOW HOT THE DAY WAS, WHAT THEIR WIFE SAID AND DID HOW THE MECHANIC SHOP RIPPED THEM OFF AND ON AND ON BUT NO SOLUTIONS. THAN YOU FOR THIS BLOG I WILL TRY YOUR ADVICE. This was a problem for me too. Stalling once and a while when decelerating. I bought the part on ebay and installed it myself. Very easy job. Fixed it for sure!! hanks for the info! You are a lifesaver!! M-y wife’s 2005 Mazda MPV started idling roughly, especially when AC is on, after engine warmed up. Would also miss occasionally when cruising at 30-50 mph. Took it to Mazda dealership twice in a week. Their computer said things were fine, so their only solution would be to keep replacing coils and other expensive parts until problem was solved or we ran out of money. I looked online and found your posting. Replaced the IAC valve, which took all of 5 minutes, and problem seems to be solved. Thanks again.